The American Medical Association’s (AMA) House of Delegates unanimously approved Resolution 955 “Equality for COMLEX and USMLE” on Tuesday, November 13, 2018. The resolution calls for the AMA, the largest association of DO and MD physicians in the United States, to educate residency program directors on the use and interpretation of COMLEX scores. As the medical profession transitions to a single Graduate Medical Education accreditation system (to be fully implemented in 2020), the resolution also requires the AMA to promote equal acceptance of the USMLE and the COMLEX exams, in addition to a higher utilization of COMLEX scores for DO applicants. The National Board of Osteopathic Medical Examiners’ (NBOME) COMLEX-USA series provides a pathway to licensure for DOs to practice medicine in the United States, and is a graduation requirement for earning a DO degree. However, some residency program directors required the United States Medical Licensing Examination (USMLE), which is typically taken by students earning a MD degree, for all applicants including DOs. This led to confusion and added strain among DO applicants, who had to take two equally-regarded exams to be competitive for residency programs. 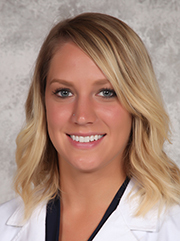 The new AMA policy, which is being referred to as a critical milestone in medical education, was brought forth by a group of students in the AMA Medical Student Section, which included RVU’s own Krista Allen, OMS-III. In the following guest post, SD Allen shares her perspective on helping to write the resolution and what it took to get it passed. Article by Krista Allen, OMS- III, RVU-CO Campus. The idea for this resolution came to me early in my second year at Rocky Vista University. It was during the time when we all start preparing and dreading our impending Step 1 and Level 1 exams. As someone who has never excelled at standardized exams, boards were especially terrifying for me. One specific stressor was that I had to take not just one exam, but two. I couldn’t wrap my head around being tortured twice, so I asked the question several times, to several different people. Why two exams? The answer was always the same: “to be competitive for residency”. The simple fact is that many residency programs do not accept COMLEX scores. If I wanted to have the same opportunities and apply to the same number of residency programs as allopathic medical students, I had to take both exams. This answer, while logistic and strategic, still left me wondering. Why? Why don’t all residency programs accept COMLEX? If it was inferior, our institutions wouldn’t continue to require it for graduation, right? This led me to research the differences and similarities between COMLEX and USMLE. I found that osteopathic and allopathic students score the same on NBME-CBSE, an exam to test the basic science knowledge of medical students. I found that the Federation of State Medical Boards researched both exams and determined each is appropriate for licensure. I found that ACGME views the exams as equivalent and does not require one over the other for residency matriculation. My research was demonstrating that not only is COMLEX not inferior, in the eyes of ACGME, it is equal to USMLE. With all residency programs moving to the single accreditation system under ACGME by June 2020, I felt they should give equal consideration to both exams. I also knew now was the time to act. I have been an active member of Colorado Medical Society and the American Medical Association (AMA) since my first year at RVU. By the time I decided to write this resolution, I was comfortable with health care policy and advocacy through these organizations and had written resolutions for the AMA before. I knew this was where I could make an impact. I began writing. Once I had a first draft, I turned to the AMA Virtual Reference Committee open forum to post it online (this is where we share ideas for resolutions to get feedback and collaborate). To my surprise, there was a post already on the forum so similar to mine, it gave me goosebumps. I thought someone had stolen my idea. The post was from Ohio University Heritage College of Osteopathic Medicine students Daniel Oder, Lauren Jasko and Samantha Long. I immediately reached out to them and asked if they wanted to work together. This began our nearly year long collaboration. We worked long distance, over email and video chats, carefully researching and writing. There was even a period where I called and spoke to every residency program in Colorado and Utah to find out if they accept COMLEX scores. Only 53% of Colorado and 39% of Utah residencies do. We finished our final draft and hit submit. But our work was far from over. It was now time to travel to Chicago for the AMA Annual Conference in June where the resolution would be debated in front of hundreds of our medical student peers to decide if it should be passed and cemented into AMA policy or if it should be not adopted and disappear. After arriving in Chicago, I met the other authors for the first time in person. They were smart and driven and just as nervous as I was. We immediately got to work on our strategy. However, we quickly found that our strategy would need to change. What we discovered, at this conference and throughout this whole process, was not a climate of discrimination towards osteopathic students, but rather an overall lack of understanding about what we do and what COMLEX is. We learned that many allopathic students and physicians don’t know what COMLEX is, let alone what a good score would be. Many thought that the exam had less science and clinical content to allow for the osteopathic portion. Many don’t know that we take two exams to remain competitive. Many don’t know there is bias at all. This lack of understanding was the motivation behind the resolution. We found that, in the majority of cases, the under utilization of COMLEX scores was not due to purposeful discrimination against osteopathic students, but was because residency program directors did not understand them. They didn’t know how to use them. This is what we want to change. A second surprise we experienced at this conference was the outpouring of support. These resolutions are debated live on the floor and I was prepared to speak several times in defense. I had written statements in my hands and arguments played on repeat in my head. But when it came time to approach the microphone, student after student spoke about their experiences taking both exams, the impact this resolution could have and how important it was to pass it. None of these students had worked on the resolution and most didn’t know us. But they believed in it. The resolution passed that morning with little to no opposition. However, the fight didn’t end there. We had passed the resolution through the Medical Student Section but the next step was to take it to the entirety of the AMA and pass it through the House of Delegates (HOD). The resolution would be considered by the HOD in November at the AMA Interim Meeting. This meant traveling to Maryland to continue to advocate for the resolution. As I boarded the plane, I realized I was more nervous for this part of the process than any before it. If the resolution failed, it didn’t matter how much work we had put into it, or that it had passed through the medical student section, it would go away. It would have no impact, make no change. It would be back to square one. We spent all day speaking with members of the Reference Committee who were reviewing the resolution, speaking to the National Chair of the Council of Osteopathic Student Government Presidents (COSGP), speaking to physicians in Florida with unresolved questions and to students who wanted to help. Any ground work left, we were doing it! The Reference Committee released their report Monday that they were recommending our resolution for adoption with no changes to original language. Their report said they received strong testimony in support of the resolution and specifically stated, “the COMLEX examination is a graduation requirement for all osteopathic medical students and the examination taken by one in five future physicians is a measurement tool that all program directors should be familiar with and accept”. This was good news, but we weren’t in the clear yet. This was only the committee’s recommendation to the House. The House, as an entirety, still had to vote to adopt. This meant one more night on edge, crossing fingers, saying prayers and sending emails. The resolution would again be debated live on the floor, but instead of medical students, we would be speaking in front of prominent physicians. To say I was intimidated was an understatement. Luckily, Lauren stepped up and gave powerful testimony to the House. Tuesday, I awoke to a text from Daniel. “Just got word that it passed!” I froze, my heart sped up, my skin sweat and I couldn’t help but smile. We did it. We actually did it. We were able to turn our experiences, our classmates experiences and those of osteopathic medical students across the nation, into a tangible mechanism of change. Change, that hopefully impacts all osteopathic students after us. Change that the AMA will now put into action. We were able to fight for the validity and equality of the osteopathic profession, it’s students and it’s physicians. What we didn’t expect was the rest of the medical community joining us in that fight.